Draft UN Climate Report: Poor People Will be Hit Worst | Watts Up With That? A draft UN IPCC climate report suggests poor people suffering “multidimensional” poverty will be hit worst by climate change – so lets make everyone rich. Most of the report is fairly boring, containing references to post 2020 climate action (yet more evidence global climate cycles are aligned to US Presidential Election Cycles), and pushing long discredited nonsense about a warmer climate change exacerbating the spread of diseases like Malaria and Dengue Fever; Malaria used to be a deadly problem in Northern Russia, during the Little Ice Age. Even if this is true, which I doubt, the solution to easing the lives of people impacted by “climate” is mechanised, fossil fuel powered goodness. I recently experienced the advantages of mechanised agriculture in a tropical climate in the middle of a heatwave (picture at the top of the page). 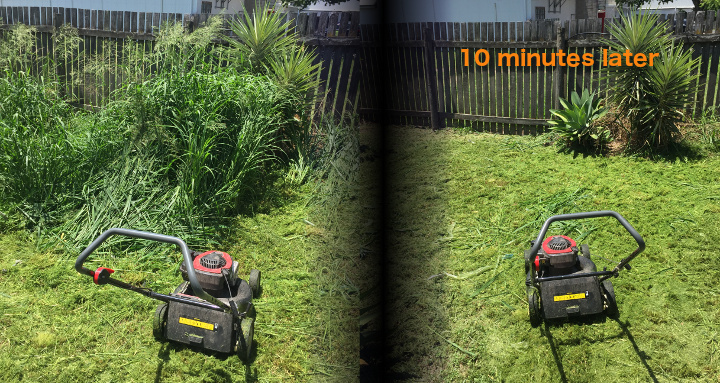 I didn’t get ill from heat stress, because my gasoline powered lawn mower did most of the work. You don’t need expensive equipment to make a difference, even small, simple tools – gasoline chainsaws, miniature tractors, hand operated lawn mowers, hand operated rotavators – can make a huge difference to the physical effort required to perform simple agricultural tasks. The worst thing you could do for people at the bottom of the poverty ladder is to implement some of the lunatic green policies making the rounds, to force additional costs on them. Back in 2008, green policies triggered mass starvation and riots in poor countries, as Western efforts to turn food into biofuel pushed food prices out of reach of the world’s poorest people. Regardless of what happens to the climate in the future, and the climate will change regardless of what we do, the solution to poverty is pragmatism, capitalism and wealth creation. Always has been, always will be. February 16, 2018 in United Nations. This is total BS and propaganda. They’re running out of scenarios to attribute now and in the future to so called “Climate Change” so they’re making stuff up. This is nothing more than a continued ideology narrative designed to lower everyone one in the world to the lowest common human denominator. World Ends Tonight – Women and Minorities Hardest Hit! News at 5!!! The world isn’t remotely on target for 2 degree by there own calculations with almost every country going to fail their 2020 targets and they want to talk about 1.5 degree … they get crazier every day. There is something wrong here. The UN has not gotten the meme down yet. They obviously forgot to say women and children would be effected worse too! The poorest people experience the impacts of every risk more than the better off. They have less options when the bad things come. And as the future is always somewhat uncertain there are always risks. The poorest people always need to be less poor. So does everyone else, of course, but not as much as the poorest do. Cheap and copious energy has always been the route out of poverty. There is a strong correlation between energy use and wealth. Increased energy use gives increased productivity which gives increased wealth. Cheap, reliable , abundant energy is the lifeblood of society – it IS that simple. Fossil fuels provide about 86% of global primary energy. Renewables provide about 2% despite trillions per year in wasted subsidies, paid by consumers. Grid-connected green energy, typically wind and solar, is not green and produces little useful energy. The problem is intermittency. The sun does not shine all the time, and the wind does not blow consistently either. Warmists think that grid-connected mega-storage (aka the super-battery”) will solve this problem. It won’t – not for the foreseeable future. And fossil fuels which made the industrial revolution possible has been and remains a necessity for that to happen. Hydro does take space but only with an additional necessary resource … H2O that is then made readily available. Wind and Solar are far too low density (space required) per MW produced and are still not capable of competing with high density energy sources without tremendous Government subsidization. When a Solar Installation (PV or Thermal) or Wind Farm can produce 2200Mw of energy daily 24/7/365 on 12 acres of land, then they will be able to compete with traditional energy sources. That is “Wealth Creation” NOT “Wealth Redistribution”. You Give a guy a million bucks and he’ll be rich for around a year (Until the money runs out) because he doesn’t know how to make it. If you took all the wealth in the world and divided it equally amongst all the inhabitants of the planet. Within 10 years, almost everybody who is rich now will be rich again. Within 10 years almost everybody who is poor now will be poor again. For most people, whether you are rich or poor doesn’t depend on your circumstances, but rather your choices. Obviously I’m not talking about those who are oppressed by tyrannical governments or who live in places where your choices are extremely limited. Leftists have started to experiment with a guaranteed minimum income two which everyone is entitled without having to work for it. They are convinced that this won’t impact people’s behavior. The draconian energy TAXES levied here in CA by Jerry Brown and his cadre of Eco-bureaucrats is … MAKING ME POOR!! The hysteric Global Warmists are TAKING my salary, and making me POOR! Energy Poverty CAUSED by the Warmists is far more urgent and hurtful than any FANTASY the UN can imagine. Giant Asteroid to Hit Earth. Poor People Will be Hit Worst! So they don’t have much evidence, but they have a consensus? Oh yeah, this is climate science. News flash to UN – odd that you worry about 100 million people who may be pushed into poverty by climate change (limited evidence) while ignoring the billions who would be pushed into poverty by punitive carbon taxes (if you need evidence to understand that UN… I cannot help you). 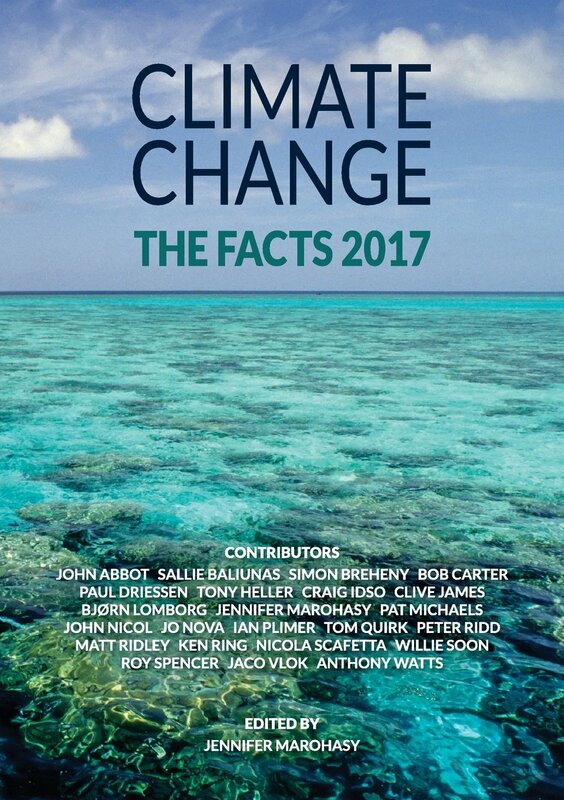 If its run by the IPCC then the Summary will be finished and distributed to national leaders at least six months before the actual report is complete. They want it out in time for the 2018 US election. Sad to see this BigWind agit-prop fake information piece here. Not a sentence that hasn’t, or can’t be challenged. Like others, I particularly liked the stated ‘ambitions’. When I was a young fellow, I remember telling a particularly attractive girl what my ‘ambition’ was, so far as she was concerned. A little more directly. She gave me a big smile and reminded me that I should never, ever, confuse ‘ambition’ with ability. Unfortunately, it turned out she was absolutely correct. Probably the same impacts those temperatures had when it was that warm in the past. In both cases the impact is It’s worse than we thought! In any event, the correct attribution of harm is Women, minorities hardest hit! No mention of children at all. Think of the children! is in a different department, not our job here. Going down? It looks like the 2.0 target is gone, as only the 1.5 makes the news. If La Nina sets in, and solar drops off, and the PDO/AMO both turn cold, we will see 1.0 as a target. From there they can chase the actual temperature progressively (pun intended) lower. Well I certainly agree that the world’s poorest will be hit hardest my man-made Climate Change, solely due to the prescribed socialist solutions. Yep. Most of the world, including the US, has slid further towards socialism over the last 30 years, and not coincidentally, income inequality has gone up. So yeah, more socialist policies will almost certainly result in more poor people, while the connected elitists will be ever more powerful. If you plot size of government as a percent of GDP vs income inequality, the relationship is pretty close to linear. The bigger the government, the richer those who run it and their friends become. Governments, as a collective, aggregated category, are by far the most prolific producers of poverty that exist and have ever existed on this planet. That includes such faux pseudo-governmental organizations such as the United Nations. Yes, I love using that argument as well against minimum wage activists. If we can mandate our way to wealth and prosperity, why not just make the minimum wage $1 million? I forgot the name of the Democrat presidential candidate that proposed giving everyone $1,000 per year way back when. When they ran the numbers, he dropped out of the race. Try looking up “Guaranteed Minimum Income”. Nixon was doubtful about this so he proposed a trial. The trial worked – it showed that the outcome was bad and Nixon dropped it. McGovern also had a similar proposal – didn’t get a chance to implement it. ‘Limited evidence, medium agreement.’ So without real evidence they(?) got basic agreement. What did they do, vote on it, had a gut feeling? Well I guess they did it with the same level of knowledge that assures them manmade global warming is settled science. Although, they may be more confident the poor are going to suffer terribly because they visualize themselves being in the position to ensure they will. They are absolutely correct. As the lefties raise our taxes to stop us from eating, driving or heating our homes many of the poor will suffer the cruelties of starvation, ghettoizing of the people in the cities, leading to energy poverty preventing them from heating their homes. Many poor will suffer and die for the Gores of the world but the rich will just pay a little more. definition of ‘poverty’ is now relative. grading on a curve guarantees that no matter how rich, there will be poor. not my problem. their need is not a leash i must wear. my value is not dependent on my utility to others. ownership is the root of rights, of capitalism and of liberty. activism is the premise that somebody must hold your leash. the unspoken premise is that a leash goes around your neck. without ownership = self possession it’s the eloi and morlock model as the structure of society. All of the recommendations to battle climate change hit poor people the most. Are they kidding? Expensive unreliable energy is the end result of their recommendations. Limiting CO2 limits plant growth. This report is the stuff of nonsense. Like all the rest of nonsense published by the UN, we have a report that purports to solve questions of poverty, inequality, gender equity, sustainable economic growth, etc. 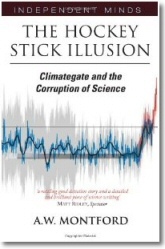 Then we get to the unverified models predicting climate disaster. I’ll continue reading, but I’m retired and have a strong stomach. BS-ers just got to BS. Please try to imagine the “deep societal transformations” and “desirable futures” envisioned by these UN bureaucrats and politicians. Since the Palestinians have been admitted to the UN climate bodies, President Trump should get us out of the UNFCCC in accordance with U.S. law. Cold kills 20 times more people than heat. The “SatanicCO2 Meme”, now gone viral will kill a lot of people, mainly the poor. Poor people getting rich is the overwhelming dominant cause of the major increase of CO2 emissions in this century. The challenge is getting rich faster than the resulting climate impact. The net result of weath increase is positive. The reality is that climate change has been going on for eons and will continue to go on wether mankind is here or not. Based on the paleoclimate record and the work done with models, the climate change we have been experiencing is caused by the sun and the oceans over which mankind has no control. There is no real evidence that CO2 has any effect on climate and plenty of scientific rational to support the idea that the climate sensivity of CO2 is zero. So if there is a problem, the cause of it is Mother Nature and no one knows how Mother Nature can be intimidated to provide the idea climate to everyone all the time. We do not even know what the ideal climate is. For example if we could somehow stop the climate from changing, extreme weather events would continue because extreme weather events are part of our current climate. We do not know how to change the weather let alone global climate. Everyone always complains about the weather but no one really does anything about it. Radical environmentalists are the great killers of our time, ranking with Hitler, Stalin, Mao and Pol Pot. One example of this criminal malfeasance is the banning of DDT, which has greatly increased malaria in the tropics – a global-scale holocaust based on false environmental alarmism. A more recent example is global warming hysteria and the war against cheap, reliable, abundant energy, which is the lifeblood of society. Global warming alarmism is the greatest fr@ud in human history, in dollar terms. Tens of trillions of dollars have been squandered on this proven falsehood – funds that were more-than-adequate to install clean water and sanitation systems in every village on Earth, and operate them forever. In the 30+ years that global warming hysteria has been promoted by radicals, about 60 million kids below the age of five have died from contaminated water. These child deaths exceed the total deaths in WW2, or Stalin’s purges, and are only exceeded by Mao’s Great Leap Backwards. Dr. Patrick Moore, a co-founder of Greenpeace, wrote this article in 1994. It still rings true today. Read “The Rise of Eco-Extremism”. I want to personally recognize the radical environmental movement for the key role it played in the banning of DDT and the resulting deaths of millions of people from malaria, especially children under five years of age. After this holocaust became fully apparent, many enviros continued to oppose DDT, based on flimsy evidence and unsupported allegations. DDT was only re-introduced circa year 2002. Malaria deaths declined after that. The battle against malaria continues. It’s plain that there is an entire demographic of people who hate humans, and therefore, hate themselves, and want all of us dead. I think they should be the first in line to volunteer for termination, especially that PETA witch and Prince Phillip. Neither of them performs any useful function. “increased food prices, food insecurity and hunger” – None of this is necessary and we all know it. Mass production of preserved foodstuffs is so common now, I don’t understand how anyone can justify watching people starve. It is inexcusable. The ignorance behind it is equally inexcusable. When it happens, as is going on in Venezuela now, it is not due to lack of resources, and we all know it. Maybe what we could do is start sending begging letters to all these people who want US off the planet, demanding cash from them. And let’s include Algore and others of his ilk in that demand – put them on the same economic footing as the rest of us, or even lower. The IPCC produces nothing but a continuous and continuing stream of blatant falsehoods. Here we are reading another article on this disingenuous bunch of cretins. We should be ashamed of ourselves. The IPCC thinks of us as a bunch of credulous morons who will buy into their ideal climate – controlled world government with their beneficent selves as anointed saints and overseers. Never, in the history of man, has so much garbage been written with so much authority as the putrid stuff cranked out by the ipcc. The folks who produce it are nothing but humanity-hating, hypocritical, scum-sucking liars. Only wealthy nations can help the poorer and therefore have to defend themselves primarily from immigration and the effects of overpopulation. Unfortunately, however, climate change is realistic and needs to be addressed. The two are completely independent. Climate change is real, and almost entirely natural. At present, efforts to address the non-problem of climate change have made rich countries a lot poorer. That’s why the two issues are not independent. MarkW – you win the thread. The climate will change naturally- slowly. Our ability to adapt is far greater than ever before, which will lessen any negative impacts. Only the folks in Western nations are concerned (see UN poll). The fact that it was a major topic at Davos is nothing more than a signal to follow the money. The average temperature increases are a distraction and for planning a remedy they should be ignored. 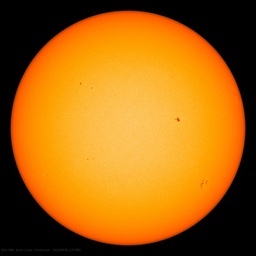 The globe is not warming evenly or even at the same time of day. Not every part of the globe is critical to human survival. Where specifically on earth is climate change changing so much that there is a pending disaster that needs remedy? Where do we start? Over 150 years ago oil was discovered in America. Its discovery resulted in the end of the whaling industry, the development of the automobile and tractor, and a greatly increased standard of living for the American people. That fuel, along with coal, was later used to power the industrial behemoth that was later used to defeat the Nazis and place America on top of the global economies. China, an extremely backward Nation as recently as 1989, has used oil and coal to go from being ignored to the 2nd largest economy in the world. Today children are slaving away to dig for cobalt in the Congo to build batteries for “green” electric vehicles. What real use do we have for the pathetic useless politicians at the UN. By their reckoning, Climate Change has eliminated all ice in the Arctic and snow is a thing of the past. Use integrated climate and economic models (IAM) to predict how things will work out under their various schemes for directing economic activity. If you think EPA’s IAM-derived social cost of carbon was bad, just wait till you see the future UN versions. Plan everyone’s lives in great detail through a pyramid of unaccountable governmental levels, from the neighborhood up to the top of a (unexplained) world government. Dictate the amount and types of food people will eat. Forget hamburgers. I assume the government functionaries will still eat steak and lobster with expensive wines. Force people into crowded urban areas, with no private vehicles for the proles. There will be rationing of energy, clothing, and all other necessities (determined by Big Brother) of life. Redistribute (their wording) wealth to obtain fairness, equity, social justice and gender equity. Although the method of redistribution is not specified, I assume the world government will tax producers and subsidize all sorts of social programs. Plan out the world’s economy and dictate production, distribution and consumption such that it will work in a sustainable (their wording) manner. I guess they think they are smarter than the old Soviet Commissars. There is no way we can alter this product of Third World despots’ voting at the UN. Just ridicule it every chance you can and support President Trump’s pruning of the government-funded climate hustlers.